WebQuest: How to use MyPlate to create a nutritional meal. 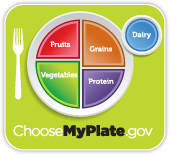 How to use MyPlate to create a nutritional meal. Welcome: How to use MyPlate to create a nutritional meal.